In 1981, six ordinary children from the tiny hamlet of Medjugorje, in the former Yugoslavia, began experiencing miraculous visions of the Blessed Mother- the Madonna. The then-Communist Regime conspired to negate and marginalize the visions of these special children. One extrordinary priest, Fr. 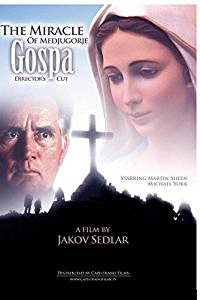 Jozo Zovko (Martin Sheen), believed the children's story and fought to maintain their integrity and their desire to share the truth.